Am I able to purchase a lot and have another builder construct my home? 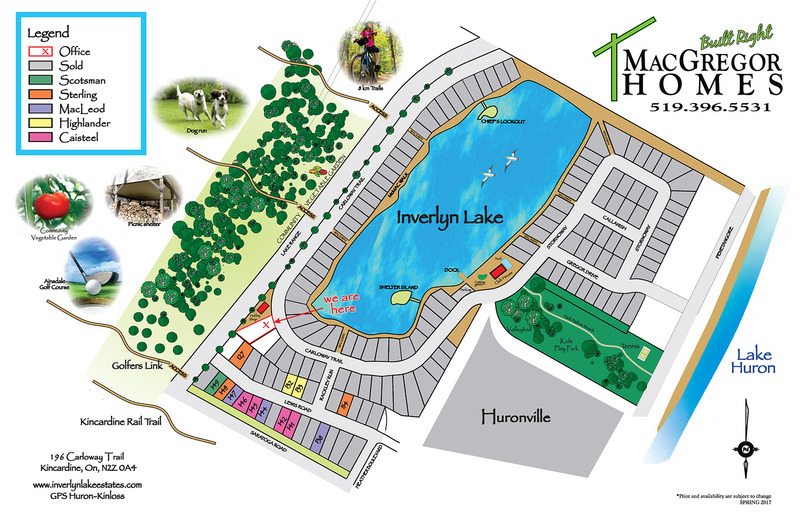 At this time, MacGregor Enterprises Ltd.is focused on delivering lot and house packages in order to ensure the quality of the homes in Inverlyn Lake Estates retain and increase their property value. Macgregor Built homes are all constructed with Energy Efficiency in the fore front, while paying attention to design. What are the condo fees and what is included? The Condo fees are determined annually when the Condominium Board of Directors approves the budget. They are currently $140 per month which pays to maintain our Common Elements. What if I go South for the Winter? The Declarant offers a “Winter Watch” program. Your home will be individually assessed, but you can expect to pay approximately $3,400 per year based on a home on an interior lot – your homes value is increased with consideration of your share of all the common amenities. In the Township of Huron-Kinloss, your Municipal taxes include water and sewer charges. Yes, but the Condo expects you to walk your dog on a leash and to pick up after it. There is a fenced dog run for your pet to run unleashed. Yes, you will have to submit the exterior details to the Declarant for approval. Are there group activities I can join? Yes, there are several regularly scheduled activities and committees to become involved in. They are always ready to include another enthusiastic resident.